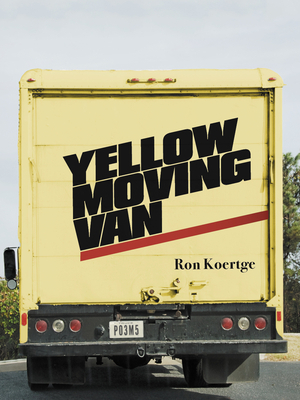 Ron Koertge’s Yellow Moving Van is a collection of relaxed and buoyant and sometimes very funny poems that address Desi & Lucy with the same courtesy as Walt Whitman. The author celebrates his roots in the Mid-West and a few pages later stops off in Transylvania. These poems like to sometimes embrace and sometimes confound expectations, and they all stand together as enemies of the murky and pompous. There is apparently no subject -- Prometheus, a fifty foot woman, or Death himself -- that is unwilling to fall under his spell. Ron Koertge, a long-time resident of South Pasadena, California, taught English and Creative Writing at Pasadena City College for thirty-seven years. He has published more than a dozen books of poetry, and is the recipient of grants from the National Endowment for the Arts and the California Arts Council, has poems in two volumes of Best American Poetry, and is a 2017 Pushcart Prize winner. Koertge is also the author of the poem “Negative Space,” short-listed for a 2017 Oscar in Animated Short Films. He teaches at Hamline University in their low-residency MFA program.